The Oasis deluxe apartments is a family business located on the seafront just 30 meters from the beach of Neo Klima and near the marina yacht. Fully renovated in March 2014 and is ready to welcome its first guests. 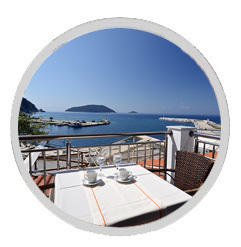 It offers deluxe self-catering apartments overlooking the Aegean Sea. 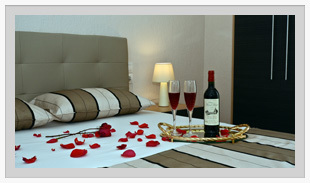 It offers free wifi throughout the hotel and free private parking. In our area you can enjoy breakfast of your choice and unique homemade flavors of our restaurant. 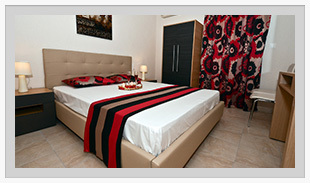 At Oasis will find spacious air-conditioned apartments with furnished balcony. All include large quality beds with orthopedic mattress and a dining area, TV, electric kettle, coffee maker, toaster and hairdryer. Offer: 1 breakfast and 1 meal of 6 nights or longer, the apartments. Deluxe studio for 2 people with sea views. 17 t m Terrace, air conditioning, balcony, sea view / garden / mountain / landmark / town. Deluxe family apartment with sea views. 39 t m Terrace, air conditioning, balcony, sea view / garden / mountain / landmark / town. Deluxe apartment with 2 bedrooms and 2 bathrooms with sea & serviced disabled. 37 t m Terrace, air conditioning, balcony, sea view / garden / mountain / landmark / town. 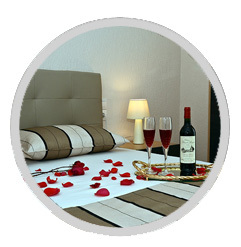 Oasis Deluxe apartments is a family run hotel situated on the seafront. 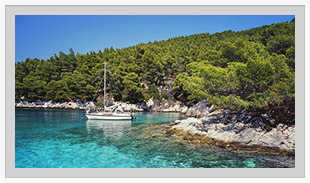 Skopelos is the greenest island of the Aegean Sea with many places beauties. Porter service (within the area).